The process of preservation of the Holy Quran started during the time of the Holy Prophet (PBUH), who despite being unable to read or write, employed a certain method of conservation upon the revelation of every ‘ayah’. The Prophet (PBUH) dictated the verses and assigned scribes to write them down in his presence, in order to ensure the accuracy of the words. At the time, the verses were written on materials such as bones, leather, stones, wood etc. He then asked his companions at the time, to memorize the verses and recite them in their daily salah, in order to help retention. The need for compilation of the Quran arose during the caliphate of Abu Bakr Siddiq (RA) when several companions of the Prophet (PBUH), who had memorized the Quran, were martyred in the battle of Yamama. That created a cause for concern for Muslims because the loss of those companions also meant the loss of the Quranic content. As a result, Umar bin Khattab (RA) suggested the idea of the compilation of the Quran to Abu Bakr Siddiq (RA), who was hesitant at first, seeing as the Prophet (PBUH) himself had not taken any such measures during the course of his life. However, upon recognizing the rising need of it, he appointed Zayd bin Thabit to supervise the project of compilation. In order to ensure authenticity and eradicate all possible human errors, all the companion who possessed the written text of the Quran collected during the Prophet’s (PBUH) Ramadan recitation, were asked to bring in their copies. All texts were compared to check for the authenticity of ayahs. Moreover, Zayd bin Thabit and Umar bin Khattab (RA) also verified each verse as they themselves had memorized the Quran by heart. Therefore, the Quranic text was collected, compiled, proofread and authenticated with the utmost care and precision. The completed version of the Holy Quran was then given in the possession of the caliph at the time, Abu Bakr Siddiq (RA) and was later passed down to the next caliph, Umar bin Khattab (RA). After his demise, it was then brought in the possession of Hafsah bint Umar, who was one of the wives of the Holy prophet (PBUH) and Umar bin Khattab’s (RA) daughter. During the reign of Uthman bin Affan (RA), Islam had started to expand across the Arabian states and increasing number of people started accepting Islam. Due to the cultural diversity and difference in dialects among the new converts, problems of Quranic pronunciation arose. People started questioning which pronunciation was the ‘right’ one. Hence, Uthman bin Affan (RA) took matters into his own hands and appointed his trusted scribes, including Zayd ibn Thabit, to make copies of the originally compiled Quran, the one in possession of Hafsah bint Umar. Once the perfected copies of the original text were made, Uthman bin Affan (RA) ordered all other remaining Quranic texts to be removed in order to achieve universal uniformity of Quranic script. To this day, all existing copies of the Holy Book are identical to the version compiled by Uthman bin Affan (RA); and it is perfect, for Allah (SWT) willed it to be perfect. “Indeed it is We who have sent down the reminder (the Qur’an), and indeed it is Us who shall preserve it” (Quran, Surah Al-Hijr 15:9). 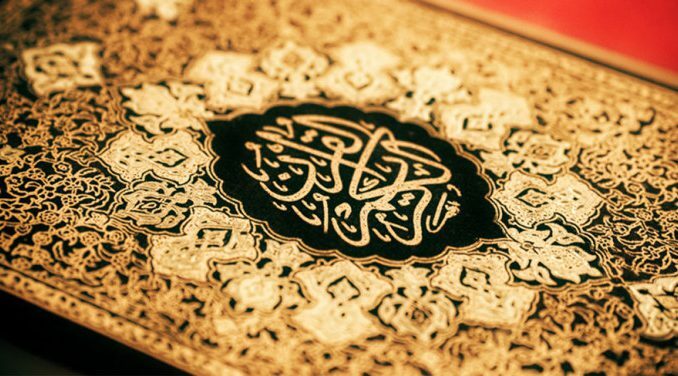 The Holy Quran is complete, it is pure and it is perfect, and it will remain so until the end of time.